Happy Holidays from the N&L Team!!! It's been quite some time since we've had a chance to post. We had our best (and busiest) holiday season to date! Since November 1st, our studio has looked like Santa's workshop with holiday cards and Christmas goodies taking up a good majority of our time. When we weren't being Christmas elves, we were working on some fabulous save the dates, wedding invitations, and swag!! We've had a great two months, and have so much to share!! Our swanky Christmas card for 2014!! Our good friend Julie (of Julie Marie Portraits) spent the morning with us back in October, and captured the perfect shot of our team! 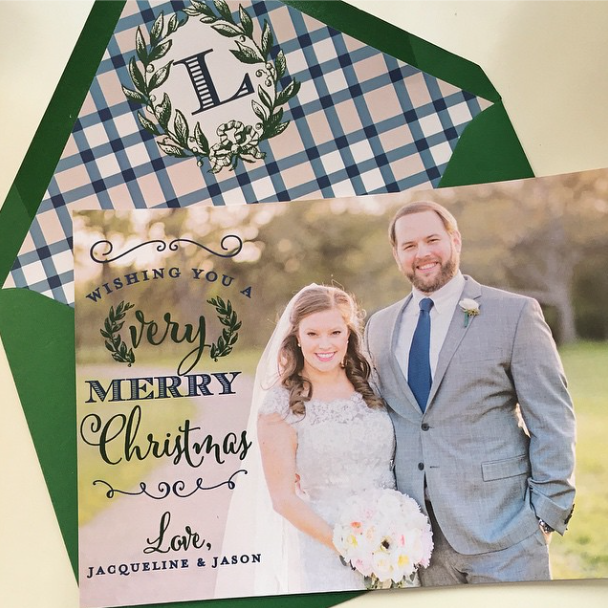 When we say we had our best holiday season yet, not only did we have the largest number of families order custom Christmas cards ever...but we also had the most creative requests this year from our customers! We had so much fun accommodating their requests, which really made all the cards this season shine! If we had to choose just one single thing we've been obsessed with the most in 2014...y'all know it would have to be gold foil stamping. 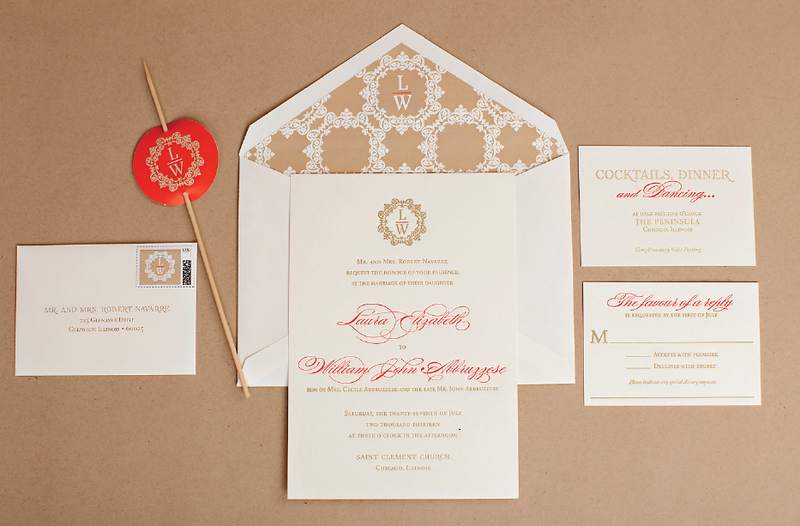 From wedding invitations to custom stationery....we think everything looks better with a little gold. So you can imagine our delight when some of our customers requested gold foil on their holiday cards...they're sooooo good! 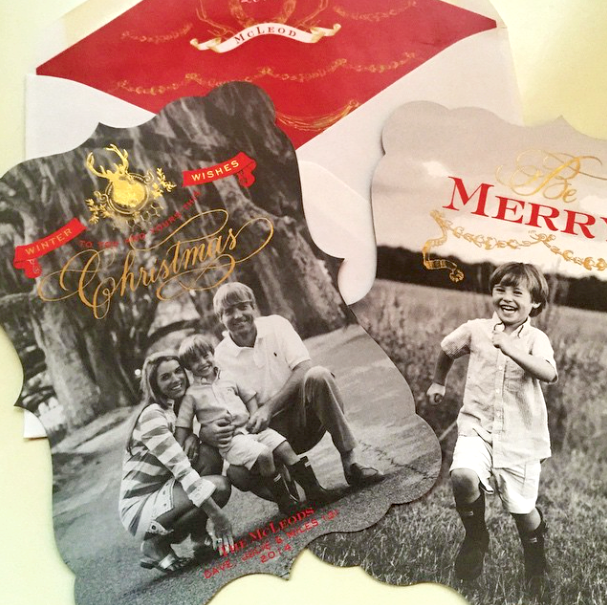 This Christmas cards features both gold foil stamping and red lithography, and was also die-cut into a beautiful shape! We also added our calligraphers beautiful lettering, the perfect finishing touch!! 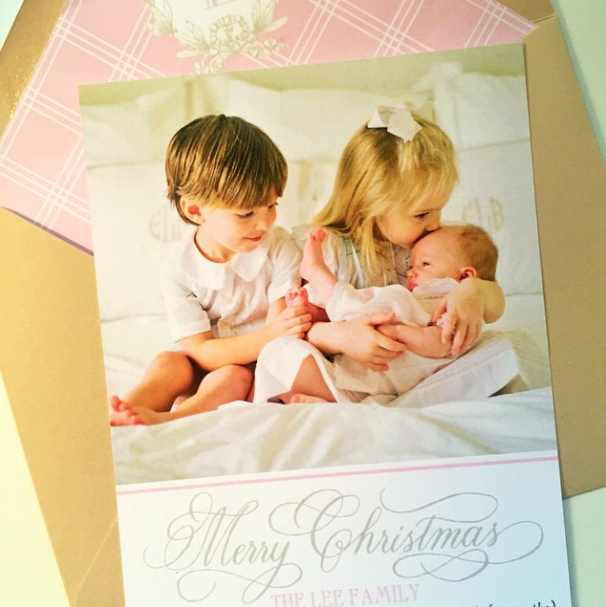 With the new addition of a baby girl into the family, this mom wanted their Christmas card to incorporate pink. So we paired hot pink lithography with gold foil stamping to properly wish their friends and family a Merry Christmas (and to alert them to their new address). 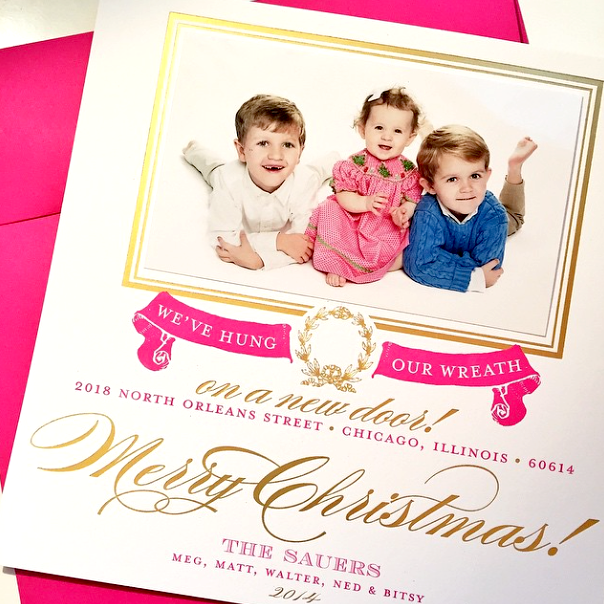 This elegant Christmas card is printed using both gold foil stamping and red thermography. 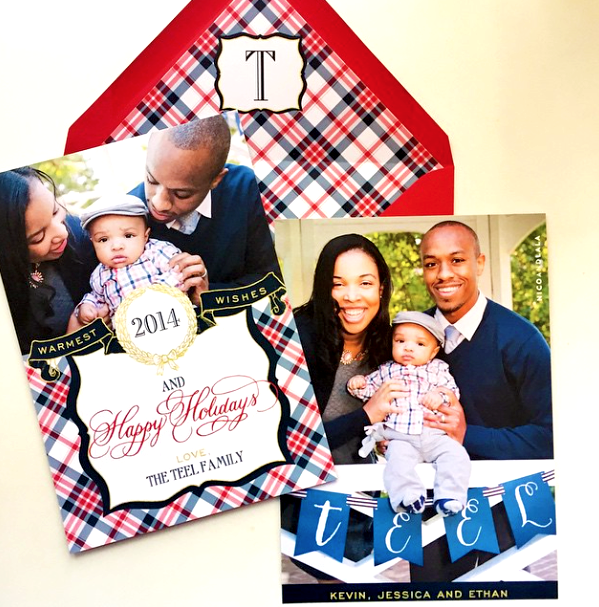 The simplicity of the card's design highlights the family's gorgeous pictures. 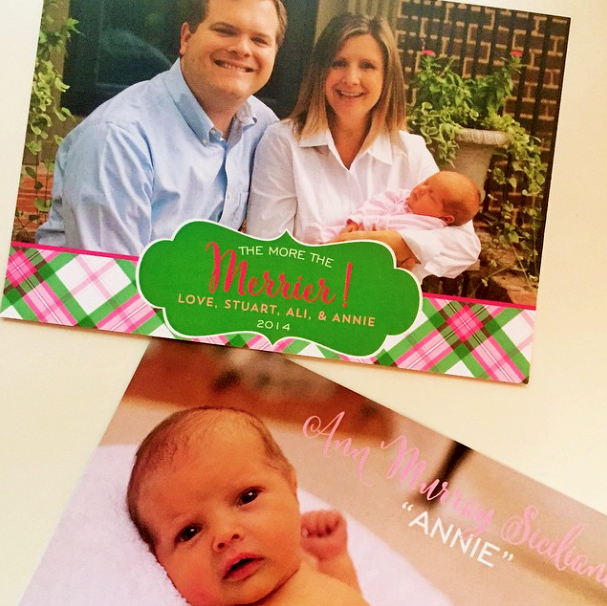 We adore this card (and this family)! In addition to our pretty gold foil cards, we did so many creative cards!! 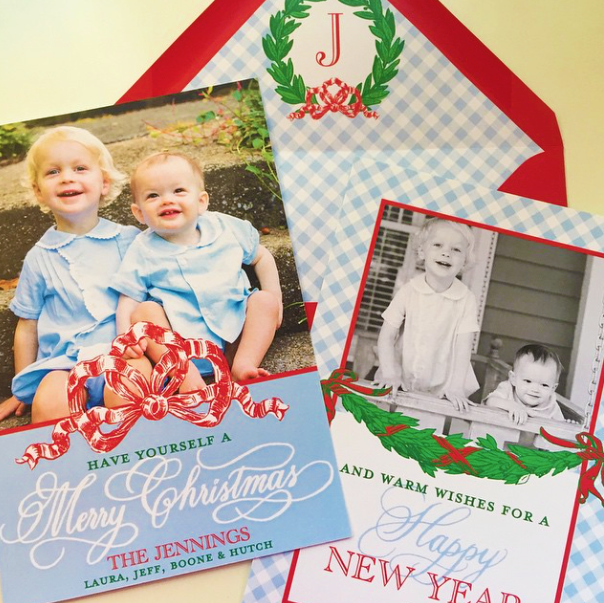 From traditional red and green, to patterns and colors highlighting the picture submitted by each family...each card was so amazing and creative! 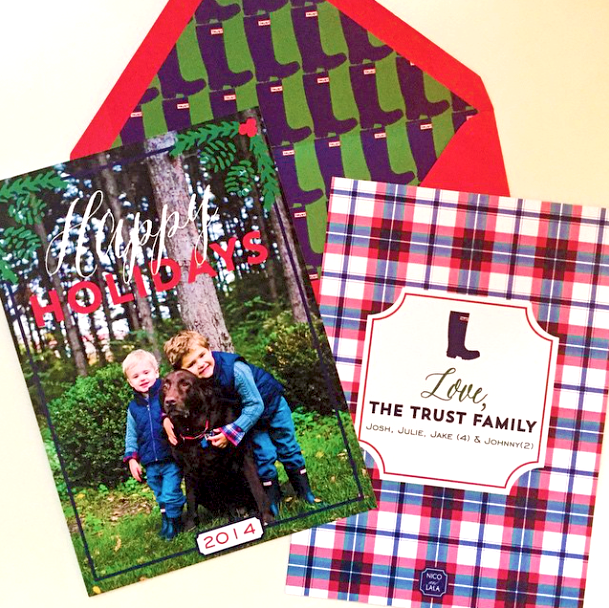 Take a peek at a small sampling of cards we helped create this year!! These twin girls are too (two) cute!! 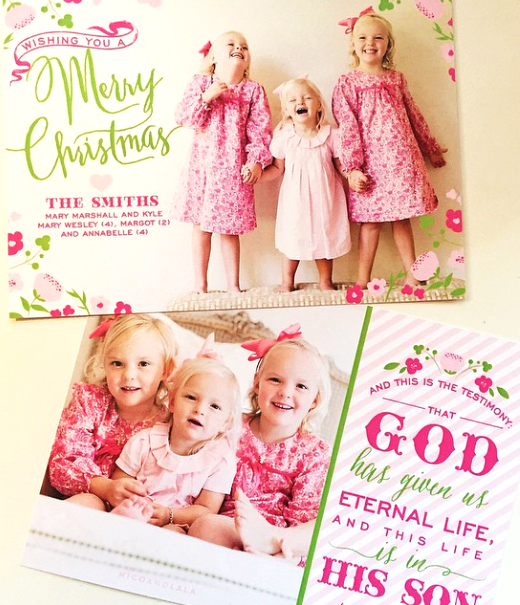 We took the adorable pattern from their dresses, and went all out on their festive card! We want to thank each and every customer for their support this past year! From our brides, to the families who we've celebrated with for years, to our online customers...we are so thanks for y'all!! We're excited to work with you in 2015--cheers to a swanky new year!! Ps. 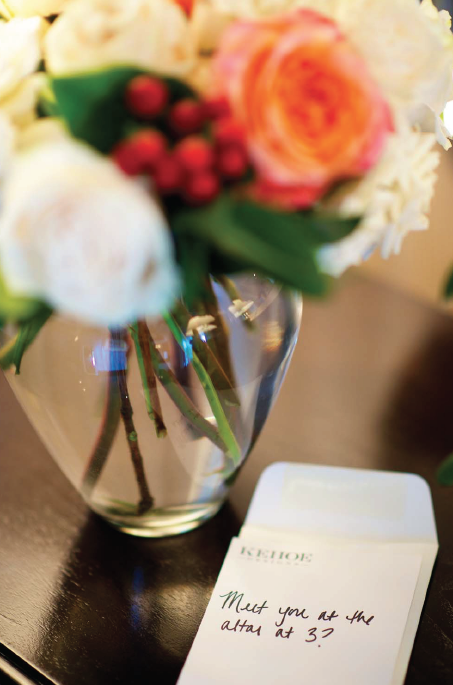 The holiday season also happens to be our favorite for another reason....it's engagement season! To all of our newly engaged friends, congrats!! We're tailoring our next blog post directly to you. 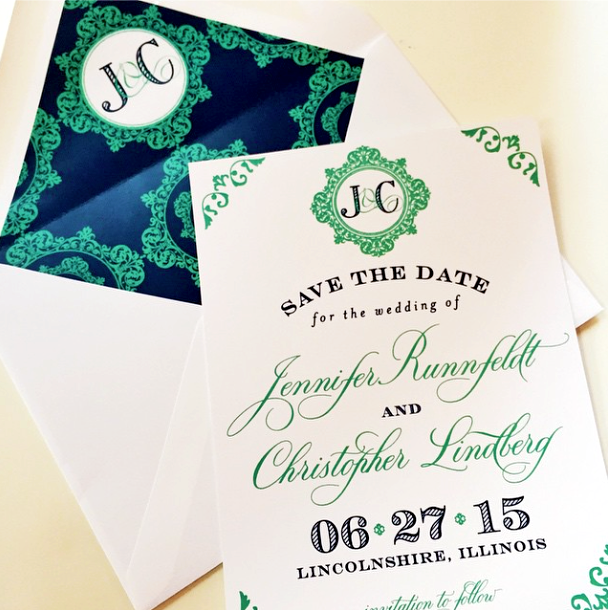 We'll have lots of custom save the date inspiration, as well as info on the N&L design process! All that glitters is gold....and if you've been reading our blog, you know how much we love gold! From our website to our packaging, we think everything looks better with a little bit of gold. So when we were thinking about the design of our 2015 desk calendar, we knew we had to give it a dusting of our favorite color. All twelve designs incorporate gold, and are paired with a coordinating (and festive) color! Each month also features a unique N&L pattern, ranging from peonies (for May, of course) to a red and gold Greek Key pattern for December. So swanky!! Each calendar comes with a lucite stand, and is packaged inside a clear cello bag. The packaging is complete with a fun ribbon. You can pull it right out of the box, and give it to that special someone! They make great holiday gifts for everyone on your list. From teachers and coworkers, to your friends in college....they're a great way to bring a little swank to any workspace! We're able to send our calendars directly to everyone on your list, with a sweet note of your choosing! Just include what you'd like to say in the "comments" section when placing your order. For more information, or to order your own gold 2015 desk calendar, visit our website!! 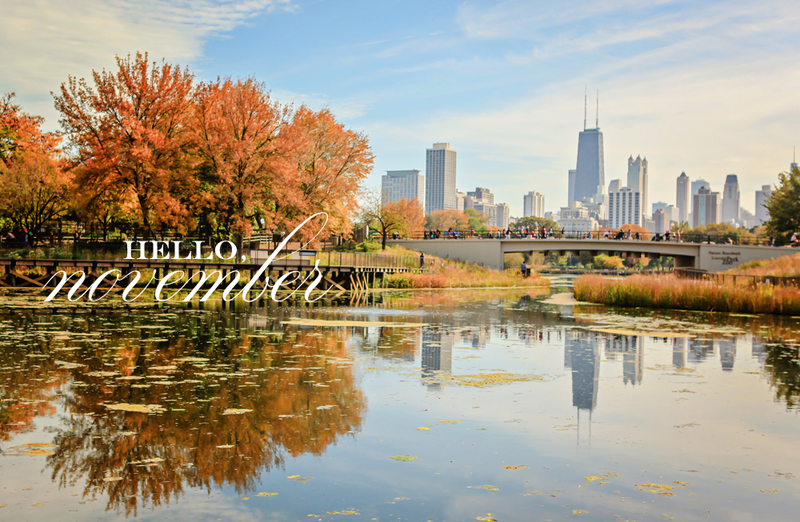 We're a bit behind welcoming in the new month...hello, November!! 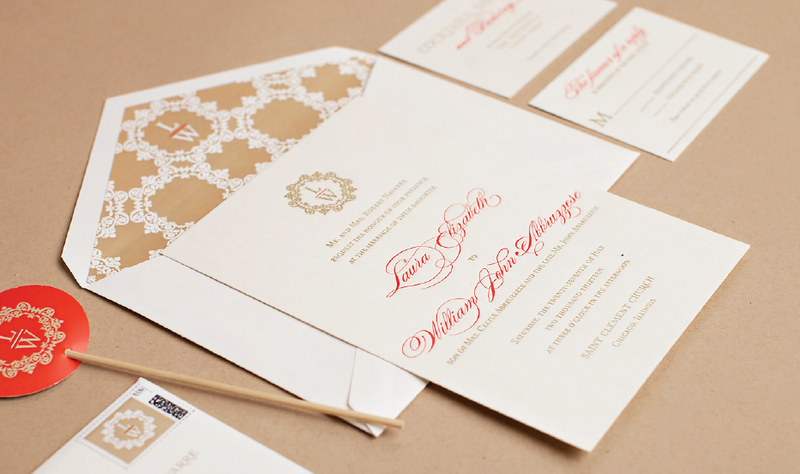 We have been crazy busy with three amazing weddings (we can't wait to share pictures) and custom holiday cards. Our studio is beginning to look a bit like Santa's workshop with all of the custom Christmas cards going out. We love it! 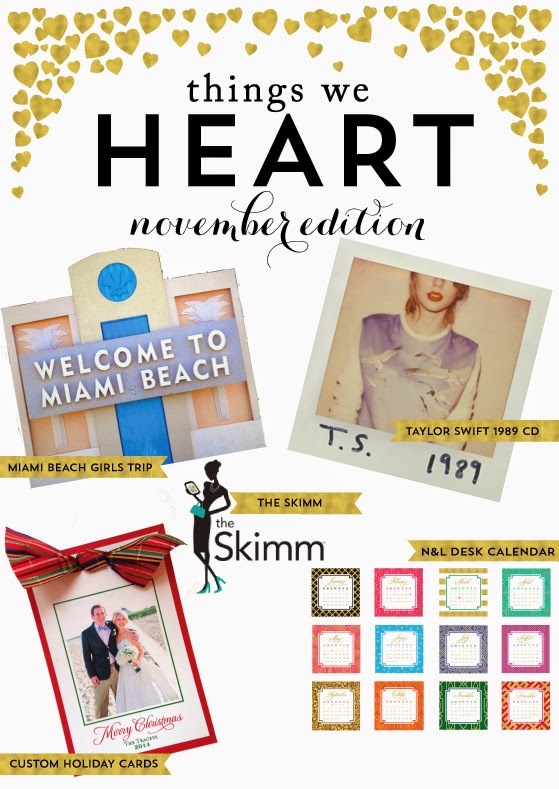 But before we get too far into November, we want to share the things we love this month!! 1. 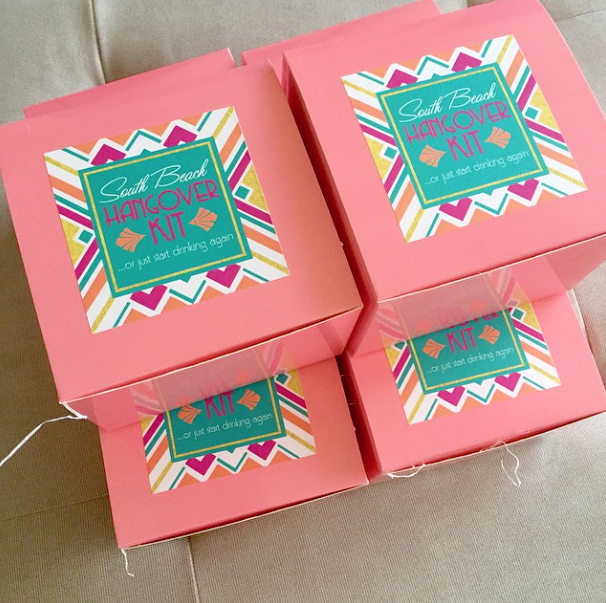 Miami Girls Trip: N&L are on their way to Miami Beach for a beach birthday bash! Nicole's birthday is tomorrow, so they're headed to have some fun in the sun and celebrate! 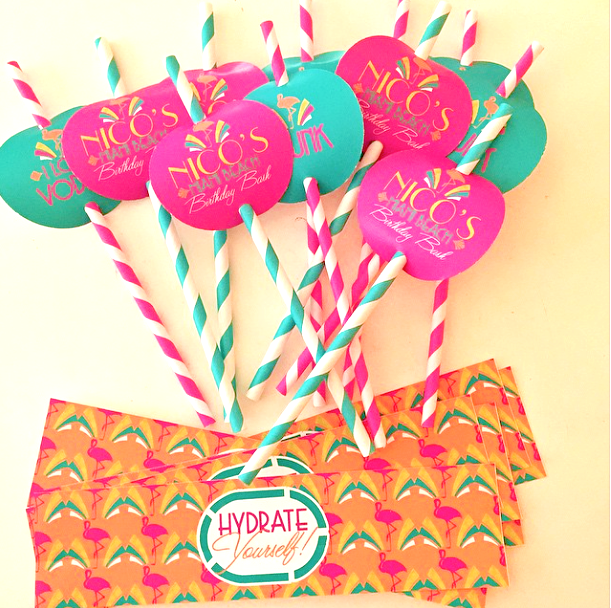 Sneak a peek at the adorable hangover kits they deigned for their girls weekend below! They're art-deco (and flamingo) fabulous! 2. Taylor Swift's 1989 CD: So you might have heard that Taylor Swift came out with a new album last week. If you're looking for a new CD to play over and over again, 1989 is it!! We play it all day, every day, and we're always updating our new "favorite" song. Right now, it's a tie between "Style" and "Blank Space." If you haven't already downloaded it, do it! We promise, it won't disappoint. 3. The Skimm: At N&L, we start our morning routines with two important things. Our Starbucks coffee and The Skimm. Not familiar with The Skimm? Let us introduce you. The Skimm is a daily newsletter delivered to your inbox with everything you need to start your day. They do the reading for you, and condense national and global news into a pretty little e-mail sprinkled with contemporary culture references. Did we mention it's also written in a relatable (and fun) tone?! The Skimm is our must-read! 4. 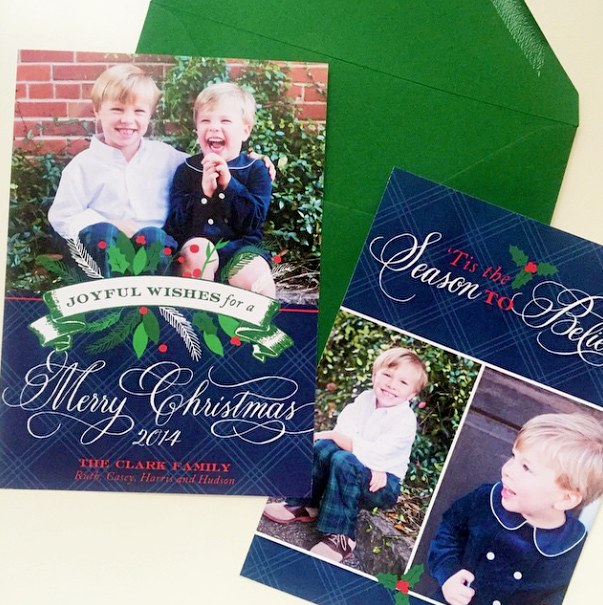 Custom Holiday Cards: It's beginning to look a lot like Christmas...in our studioooo! 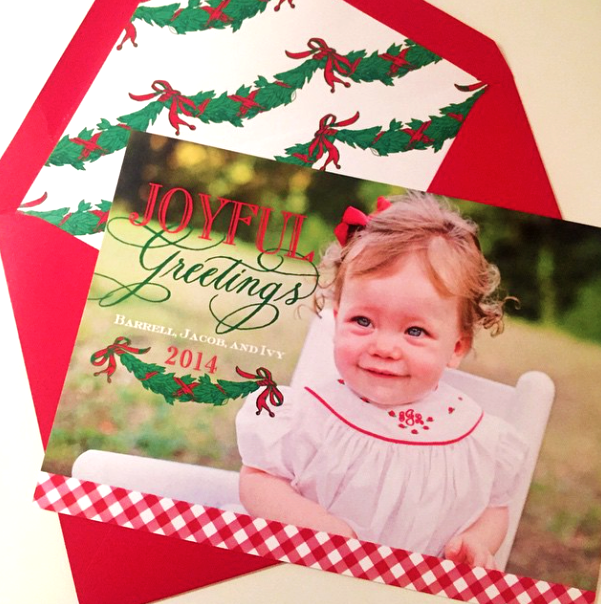 We have been hard at work designing and sending out custom holiday cards And one is cuter than the next! 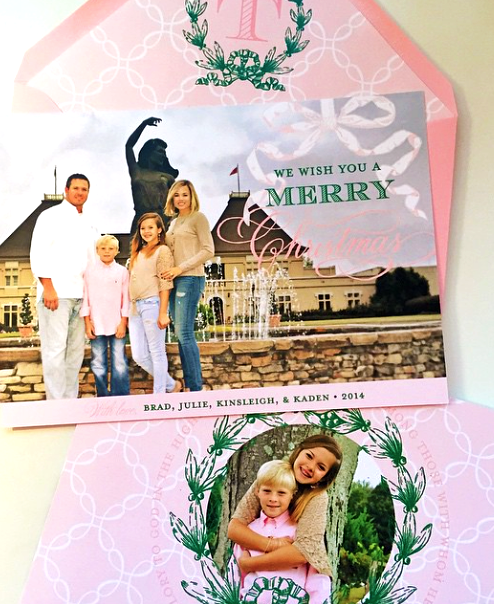 Just starting to think about your family's holiday card?! Let us help!! 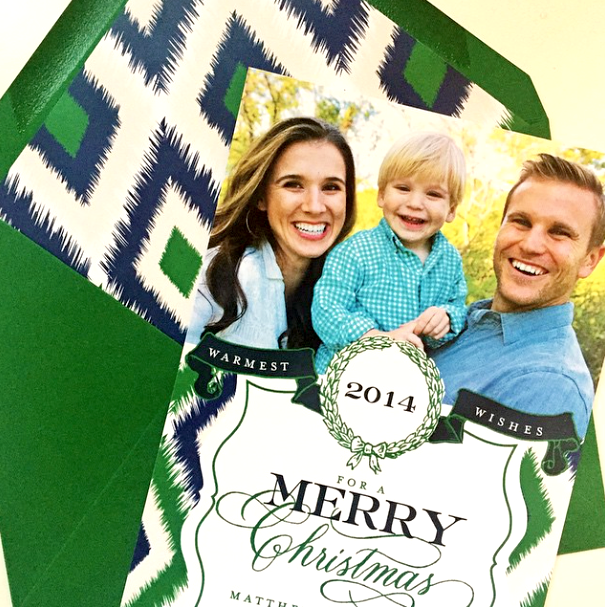 We're taking holiday card orders through December. To get started, e-mail us (custom@nicoandlala.com)! Here are some cards we've already sent out....so cute!! Every year, these sweet boys wear Hunter boots in their holiday card picture...so this year we HAD to include wellies in their design! The boots on the envelope liner have the family's name on it....dying! 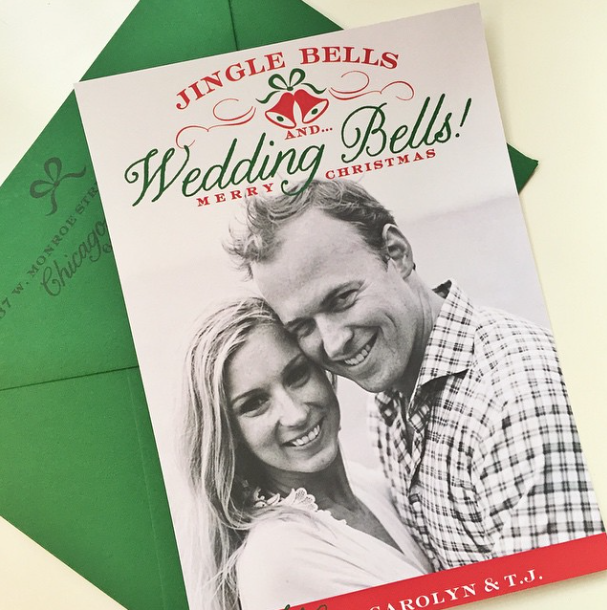 Jingle bells...and wedding bells! 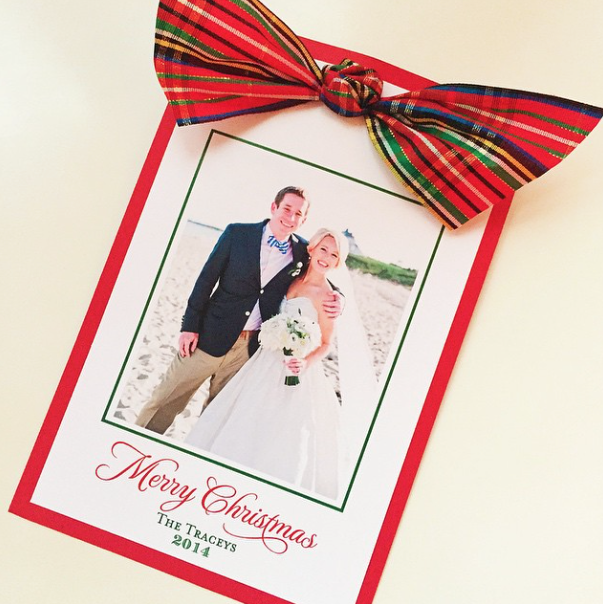 The perfect Christmas card for a newly engaged couple! 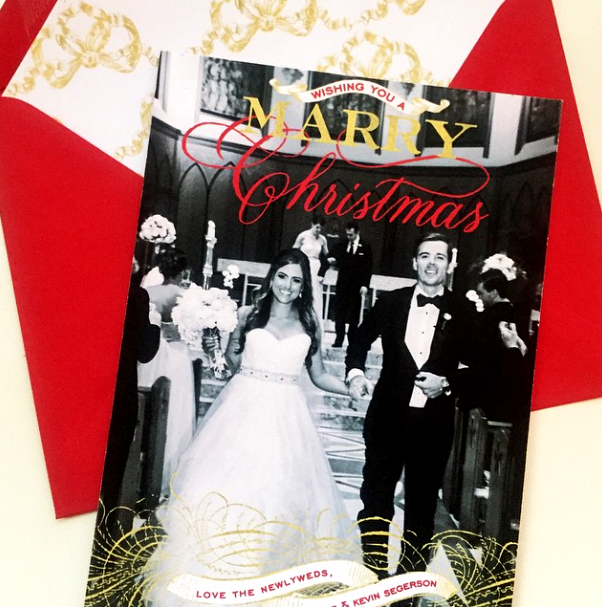 First married Christmas card, so cute! 5. 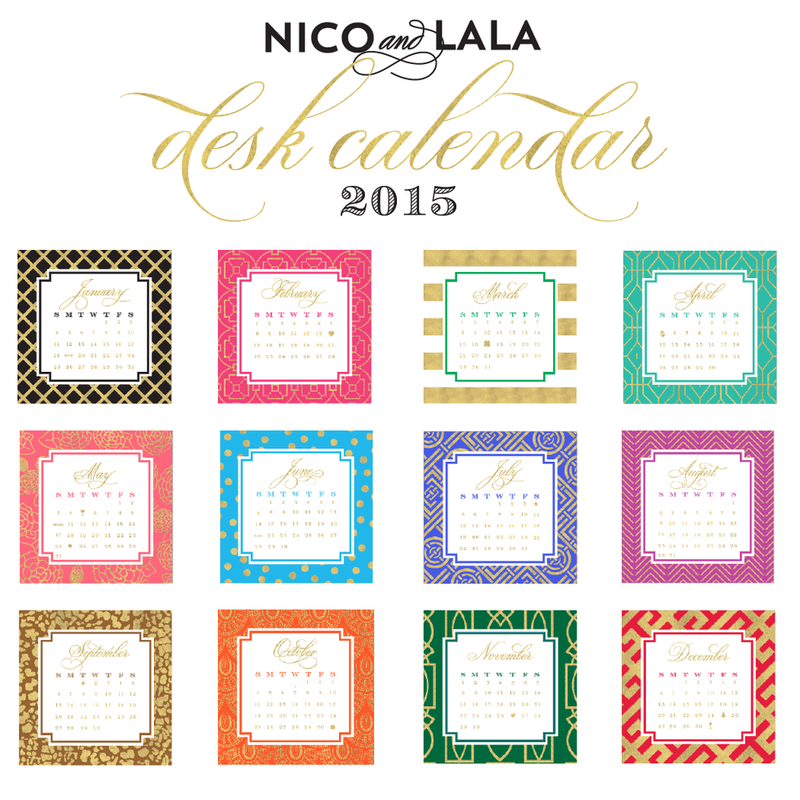 N&L 2015 Desk Calendar: It's here, it's here! Our 2015 desk calendar is now for sale on our website! We think this years calendar is our best YET, and we're excited to finally share it with y'all! 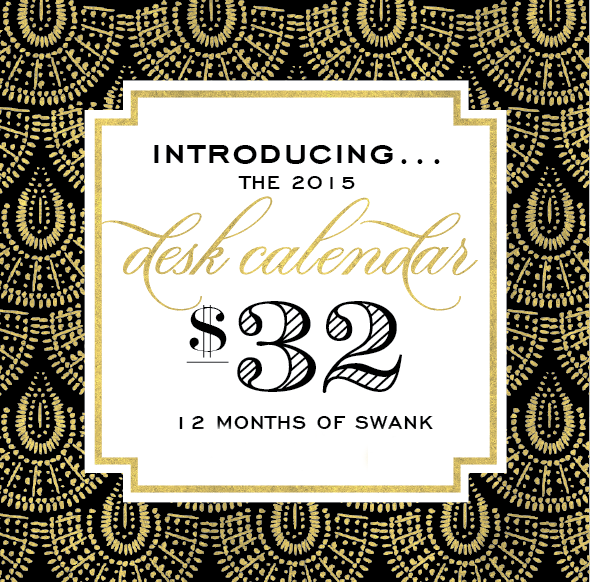 Each month incorporates a swanky pattern and gold paired with a festive color. Every calendar comes wrapped in a cello bag, tied with ribbon. It's the perfect gift for friends, family, teachers, your favorite co-worker etc. Order yours now on our website! Happy birthday again to our favorite Nico!!! We love you! 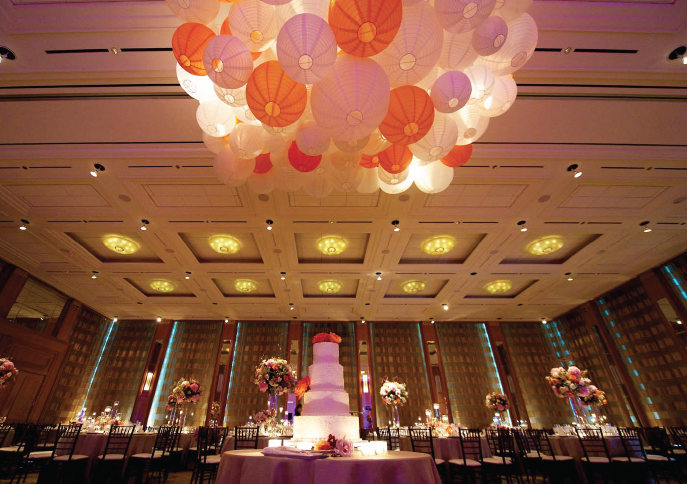 A Chicago wedding held at The Peninsula Hotel is always a grand affair, but Laura and Will's summer wedding takes the cake! Sophisticated and elegant, their wedding was all about the beautiful little details that really brought the whole wedding together. 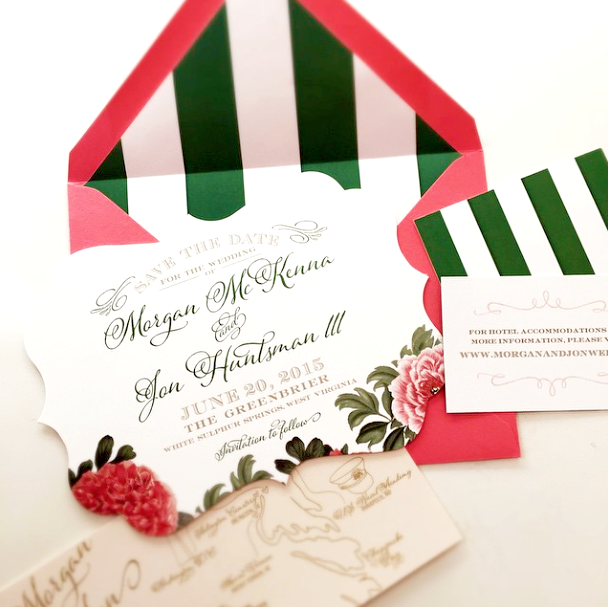 We're talking an unexpected wedding color combination (red and apple green), an intricate custom wedding monogram, and a Peninsula Hotel setting that was drop-dead gorgeous!! Combine all of these aspects with the sweetest couple ever, and we have a wedding winner! 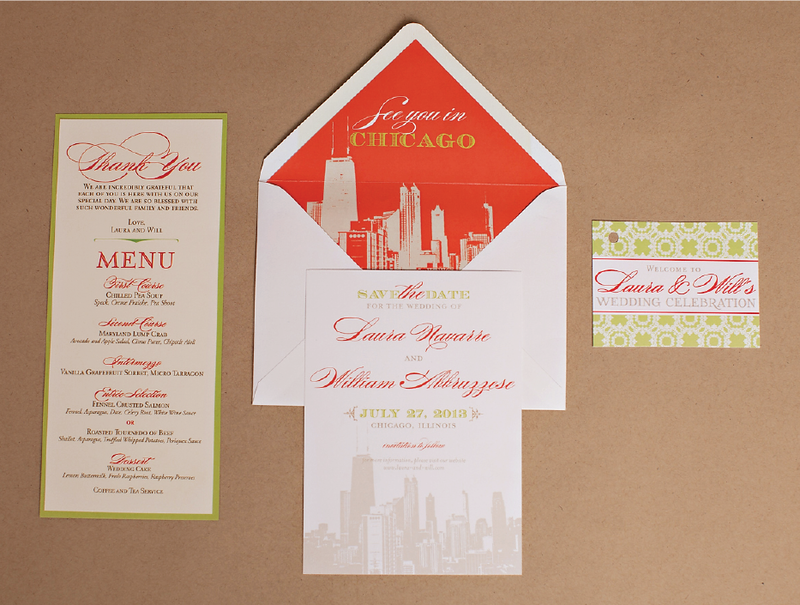 Laura and Will's save the date featured the Chicago skyline to get their guests excited for their Windy City nuptials! For the couple's wedding invitations, they wanted to keep them relatively traditional, but add in a touch of their fun personality! So for the printing, we went with classic letterpress (in their wedding colors), and topped the invitation with their custom wedding monogram. 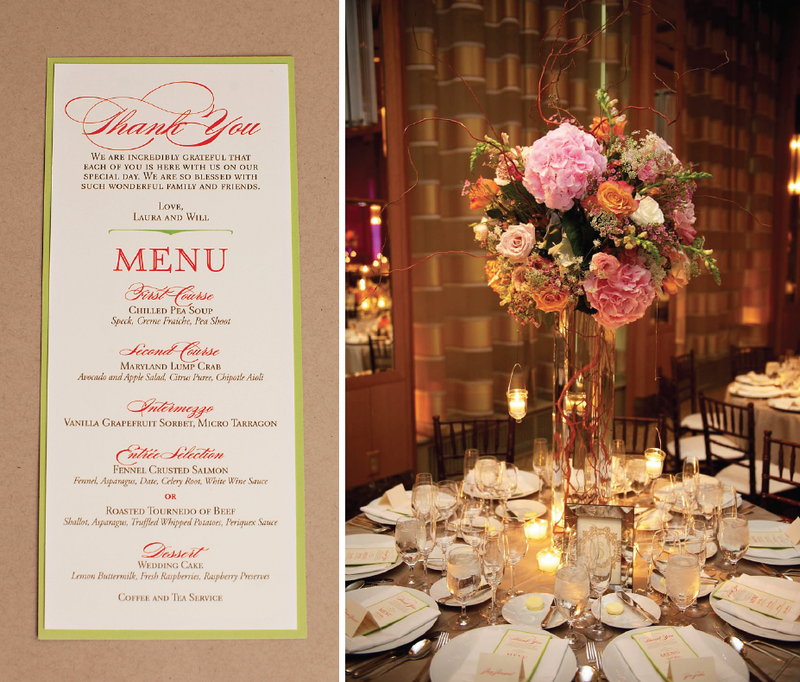 One of our favorite elements of their reception was the couple's menu card! It was mounted to apple green card stock, and was placed at each place setting. At the top of each menu was a thank you from the bride and groom. Such a sweet touch to a fabulous wedding weekend! 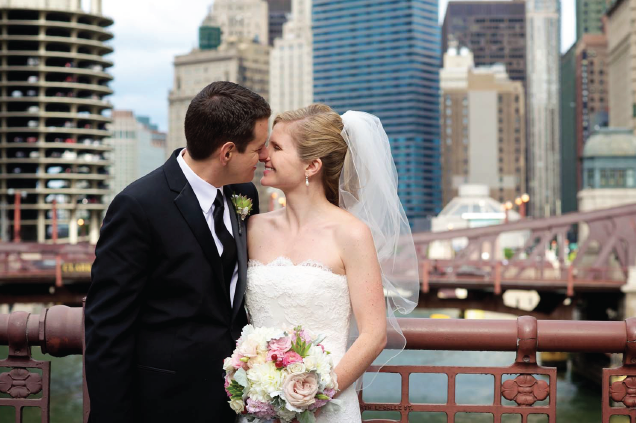 Planning your own Windy City wedding? Be sure to visit our real wedding gallery over on our website to see more pictures from Laura and Will's special day!! Ps. 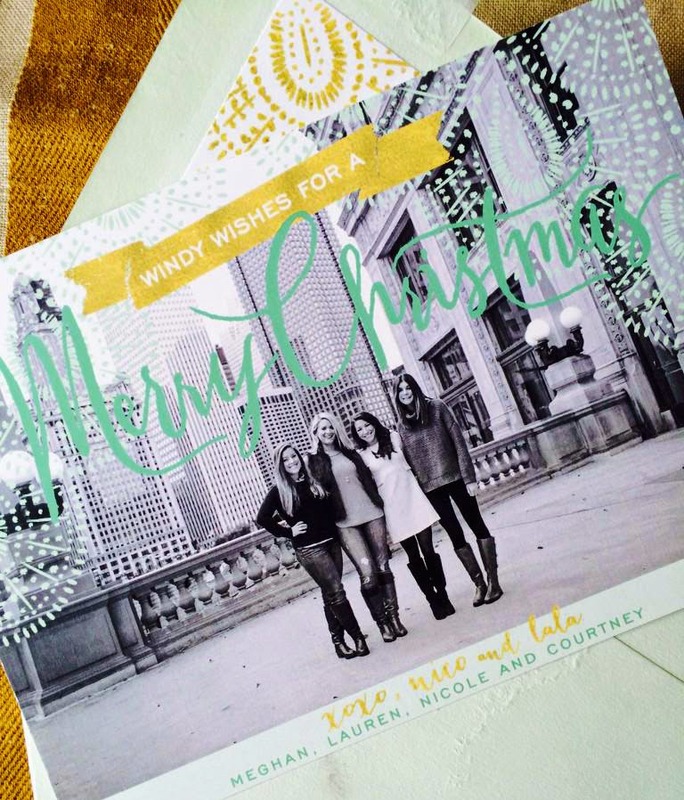 Did you miss out on our October deal for custom holiday cards?! Well...surprise!! 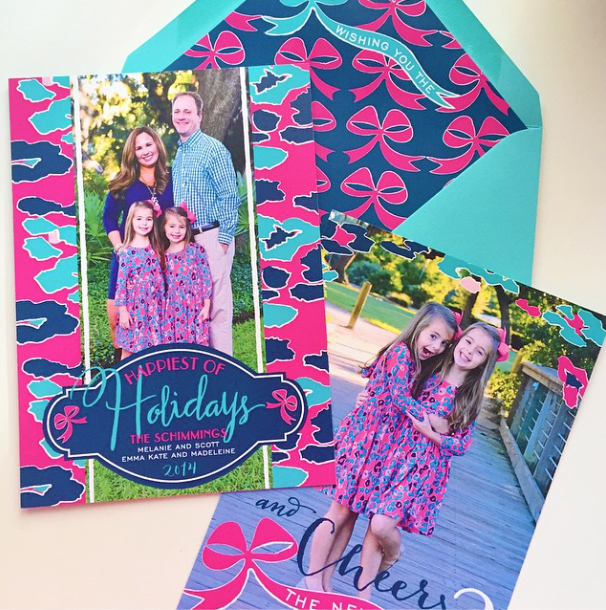 We're offering 15% off printing of your custom card if your design fee is paid by November 1st. Email custom@nicoandlala.com to get started! 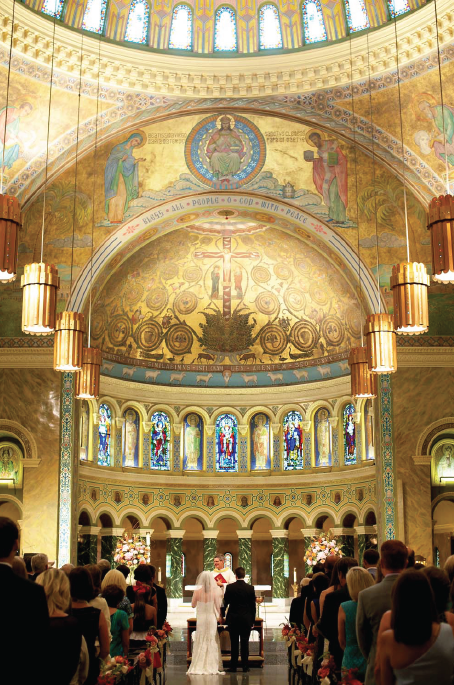 It's that time of year...save the date season for 2015 weddings! Over the past few weeks, we've sent out some incredible save the dates, each set so beautiful and creative!! We are so lucky to have 2015 brides who truly embrace the N&L vision when working with us to create their custom save the dates. What exactly is our vision you ask? And what is the process about going about creating your own custom save the date for your big day? Let's start from the beginning! At Nico and Lala, we specialize in branding weddings. We help couples create pieces that are both classic and custom, but often with some kind of a modern twist. Save the dates are vital to setting the tone for your big day, since it is the first item they will receive. But before we start on this all important step of designing the save the date, we often start with creating a custom wedding monogram. Not all couples opt for a custom monogram, but if you're interested in creating a wedding logo (which is an excellent way to brand your wedding), we ideally start by creating this first. 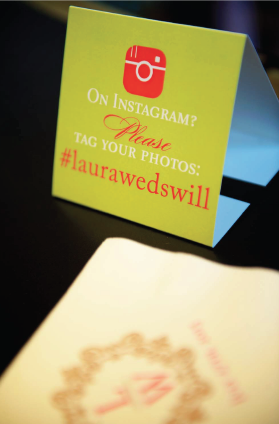 This helps us narrow your vision, and allows us to effectively move into your save the dates, invitations, and fun flair, or "swag" as we like to call it! We LOVE the inspiration behind this watercolor save the date. The bride wants an ombre pink wedding, so each wedding piece will progressively grow darker. 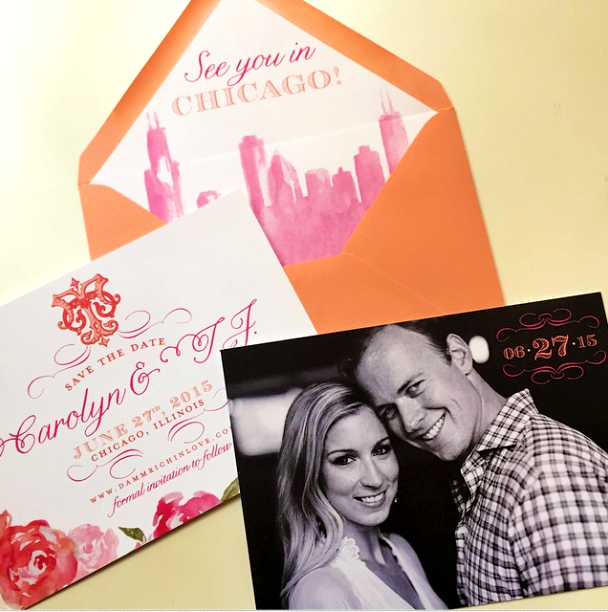 So for their save the date, we started with a "ginger" colored envelope, and incorporated the couple's custom wedding monogram, a watercolor Chicago skyline and assortment of pink peonies. Morgan and Jon are getting married at The Greenbrier in West Virginia, so we helped them create a save the date that incorporated the rich and historic feel of the resort. We also created a custom map of the Washington D.C. area so guests can pre-plan activities in the capitol city. 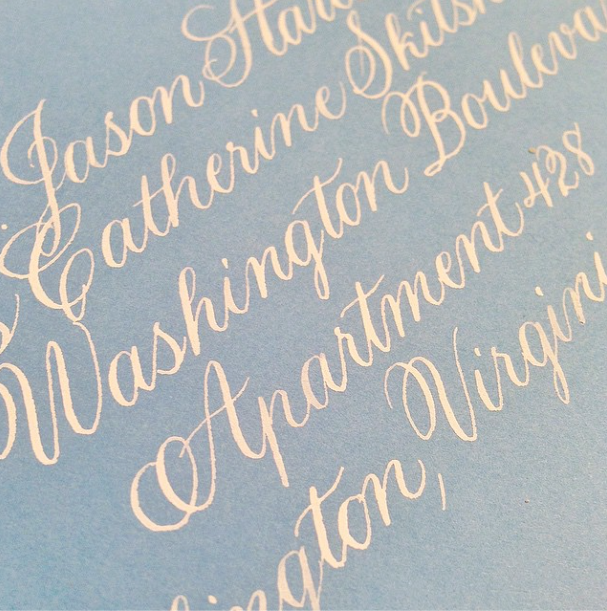 After we have the custom monogram design down, we start on the good stuff...custom save the dates! Since wedding invitations tend to offer a more formal feel, couple's often choose to incorporate more style and personality into their save the dates. We love stretching our creativity, and have gained inspiration from the most original sources. From an ombre wedding, to a logo inspired by a bench at wedding venue...creativity comes from everywhere and is so fun to incorporate into your custom save the date! For Melissa and Jeremy's save the date, we took inspiration from the wedding's location, The Bel-Air Beach Club! 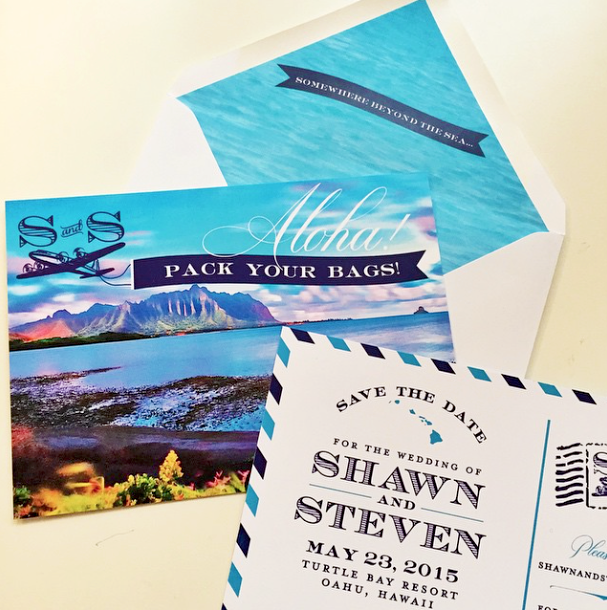 For Shawn and Steven's save the date, we created a postcard to get guests excited about their Hawaiian destination wedding! Hawaii is not only where the pair will tie the knot, but also happens to be where they got engaged. 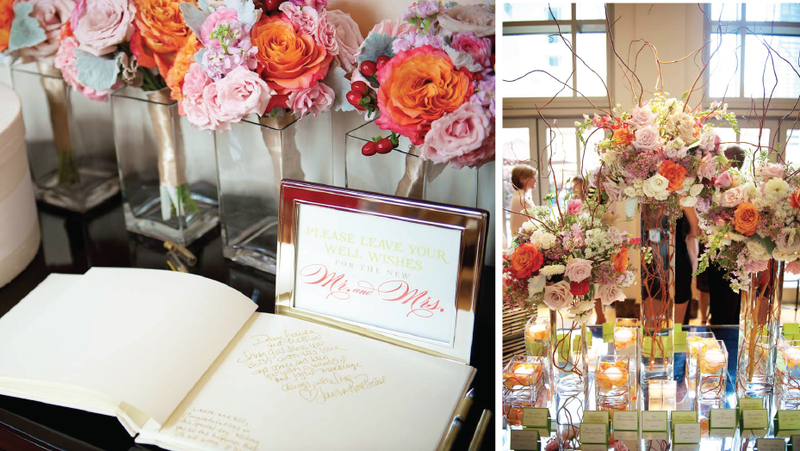 So, how do we capture your wedding vision before we start designing? We normally begin with an in-studio consultation, or for couples not located in Chicago, we often do phone consultations! We love our long distance brides, and are experts at interpreting your loose words and ideas into a tailored and to die for wedding. If you are lucky enough to be in the Windy City, we meet one on one and talk about your vision, share samples of our previous work and get a feel for what you had in mind. We want to know YOU, so Pinterest boards, binders full of photos and articles, or emails of ideas are all welcome. Last but not least....let's talk timelines. Once we get a feel for your vision, proofs take two weeks to be created and sent. Once your final design is set, it's on to printing! Most save the dates we design are printed digitally, and once approved, are printed and shipped within 5 to 7 business days. Upgraded printing often takes a bit longer, and can be estimated at the time of design approval. If you choose to accent your beautiful creation with calligraphy, we have several calligraphers we work with who are excellent. We are happy to share samples of their work, their pricing, and a timeline based upon their availability. For more information on our printing styles and processes, please visit our website! We would love to design your custom save the date! Please e-mail custom@nicoandlala.com to get started! Ps. 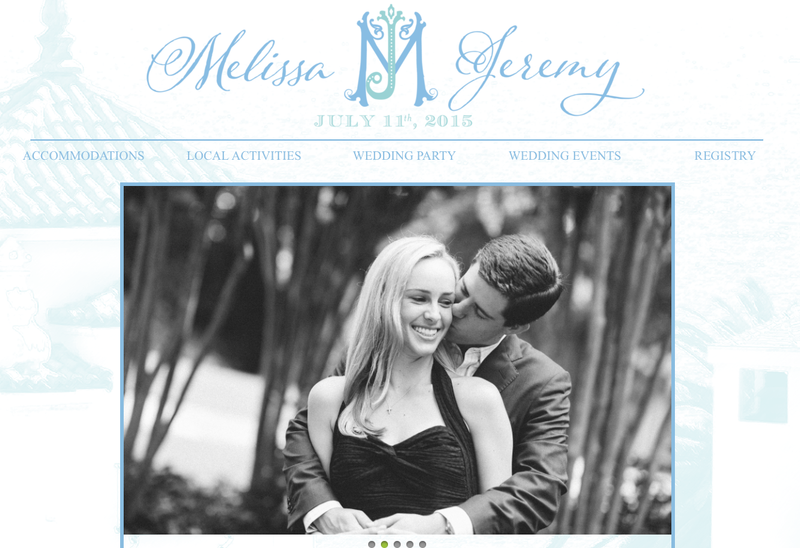 One of our favorite additions to a custom N&L save the date is a coordinating wedding website! Designed before save the dates get sent out, a wedding website is a stylish place guests can go to get all wedding day specifics. Check out Melissa and Jeremy's custom wedding website that coordinates with save the dates for their Santa Monica wedding!